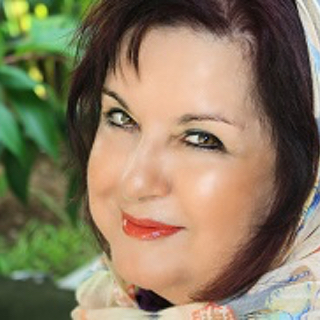 An Hour To Adore In Magnificat Meal Movement Havens Globally. Be joyful with Christ daily is our happy life journey. to adore with sweet hearts the sweet Saviour with sweetheart saints & families. U probably already have this one. U can See Vikki & Noela after prayer tomw to buy these CD’S 4 U & 4 gifts 4 others too. Yippy Tent Day. So Have fun together in true Magnificat Meal MOVEMENTS of joy with happy ones. to help U keep your “joy of the Lord as your true strength” & protection from prowlers. 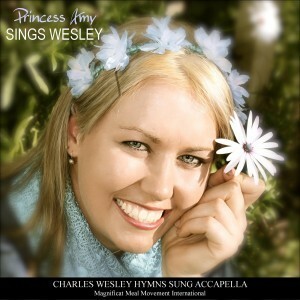 – which are available separately for $9.99 ea or together as a Double Praise Pack for $17. 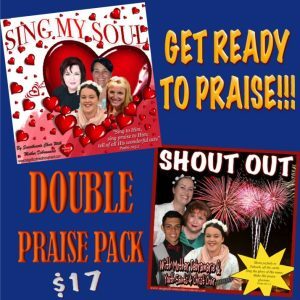 Click here or on the picture below to purchase the Double Praise Pack for $17. 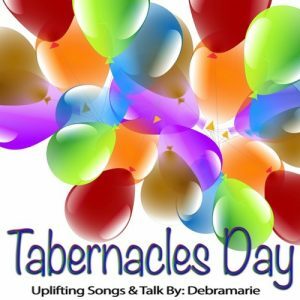 Listen to Mother Debramarie as she shares a teaching with us from 2014 about Tabernacles – it truly is a time to CELEBRATE. 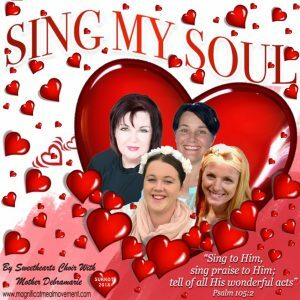 MMM Sing My Soul is available separately for sale for $9.99. Click here or on the picture below to purchase your copy today! 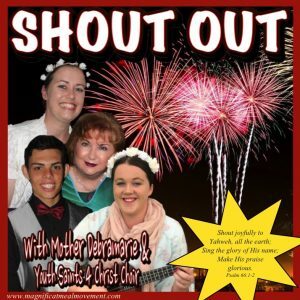 MMM Shout Out With Mother Debramarie & Youth Saints 4 Christ Choir is also available separately for $9.99. Stay tuned next week 4 Celtic Day on Smiles 4 folks with smiles! with Mighty Celtic King Ben. What an amazing time of year again 4 happy joy filled saints.